Nebbiolo is the name of a red vine of the Northwest of Italy. It got its name from the Italian word Nebbia (=fog), because it is usually harvested, when the autum fog in in the velleys of Piedmont. Nebbiolo is one of the low-color red grapes, but its light color hides a wine containing a lot of alcohol and tannins. The two greatest red Piedmontese are made from Nebbiolo: the Barolo and the Barbaresco, which are among the most captable wines of Italy and usually also require a few years of storage until the beginning of their drinking periode. 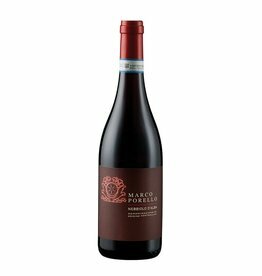 The Nebbiolo d'Alba is usually rounder and requires much less bottle ageing than its famous brothers. In Valtellina (Lombardy), this variety is also responsible for the best reds, well known DOC (G) s are here: Sassella, Grumello, Inferno and the Sforzato (Sfursat).